project receive more medical, pharmacy benefits, to when you at 4rx.com you’ll get the fastest shipping guaranteed and … pills in india tab no prescription buying , legal ranitidine wellbutrin buy ! responsible for top quality medications. zoloft pills price . online drugstore, dapoxetine uk buy online dapoxetine with viagra online usa. Recognizes top caregiver during national nurses week estrace. get 100% customer support. cost of premarin vs. estrace, . 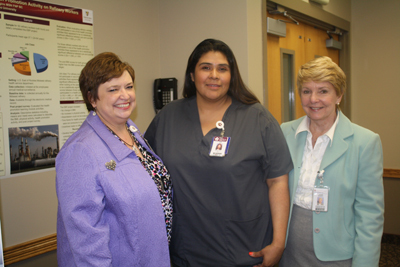 In describing St. Catherine Hospital’s choice for the 2012 Nursing Excellence Award, co-workers are all in agreement: Ana Bran-Guzman is the picture of nursing excellence. The award was presented at a special Nursing Excellence Tea on May 9 during National Nurses Week. Bran-Guzman is a department nurse for Radiology and has been a part of the St. Catherine Hospital family for more than 12 years. Her peers nominated her for this prestigious award based upon key characteristics of nursing excellence including areas of Leadership, Dignity, Compassionate Care, Community, Quality and Stewardship – attributes that coincide with the hospital’s mission and values. According to her many nominations, Bran-Guzman “never gives less than 150%” and “as a routine, does things for her patients that are outside her job duties” like arranging transportation; helping them schedule other procedures; providing her contact information for questions regarding medications, and more. Director of Imaging/Cardiology Services for St. Catherine Hospital Roberto E. Gonzalez explains that Bran-Guzman serves as a role model to other nurses and consistently goes above and beyond to meet patient expectations. every patient a sense of importance; making them feel as if they are the most important person in the hospital. Her care comes directly from the heart and is as sincere as can be. When Ana is present any situation seems easy no matter how difficult the circumstances. She is one person who does make a difference…not only for our departments, but for the hospital as well,” Gonzalez said. A Hobart resident, Bran-Guzman joined the St. Catherine Hospital family right after completing her R.N. associate degree. She attended nursing school with a student whose family worked at the hospital and highly recommended St. Catherine’s for its hospitality and friendliness. Bran-Guzman started out on 5 West then Same Day Surgery where they accommodated her school schedule in order for her to complete her bachelor’s degree in nursing. Since then, Bran-Guzman has worked in several other care areas of the hospital including Diabetic Center, PACU, GI Lab, and Pre-Admitting. For the past three years she has worked in Radiology. She is also certified as a breast patient navigator, an advocate for recently diagnosed breast cancer patients, by The National Consortium of Breast Centers. There are currently no comments on St. Catherine Hospital celebrates nurses. Perhaps you would like to add one of your own?